Need best Rug Cleaning services? Toms Rug Cleaning Services can handle any type of Rug, expert for Rug Washing and Rug Laundry services. Rugs represent a significant investment for your home decor. Regular cleaning is required to maintain and protect the original look and luster of your rug. Dirt and grime are destructive to your area rugs. These agents act like sandpaper causing the fibers to wear off faster than usual. As result, a soiled rug would appear dull, losing its shine and colours. Allergens and dust mites trapped in the fibers of your rugs are potential cause to allergy and can lead to respiratory problems. A regular rug cleaning ensures and maintains good indoor air quality for yourself and your family. Rugs typically require a more gentle approach than carpet cleaning, but the most effective method is determined by the type of weave and fibre of each individual rug. Combined with our advanced cleaning equipment, a cleaning by Toms Carpet Cleaning will restore your rug to its original appearance. For professional rug cleaning services, give us a call 1300 068 194, and let us do what we do best! Avoiding Damage: Particles that get trapped in your rug cause damage to the fibers. When the fibers are damaged it eventually begins to cause frayed pieces. Our well trained rug cleaners can get rid of those particles to assure a structured and tight woven masterpiece. Getting Rid of Stains: Stains and spills make your floor look unsightly and gives the appearance that you don’t care for your home. What once added style and sophistication to a room has now become a problem. Toms rug Cleaners can maintain the beauty of your floor. Dust Mites: The microscopic bugs reside deep in the fibers of your carpet. They cannot be removed by a simple vacuuming and can cause skin irritations. An in depth scrub will remove these little critters. Air Pollutants: Pollutants and allergens get trapped in fibers and are then released into your home. Breathing can become dangerous as the chance of respiratory illness and allergies become more likely. Toms Rug Cleaning service can help you freshen your rugs, eliminate odors and prevent rugs from matting from use. Regular cleaning can help eliminate some of these issues and keep your rugs in shape so that they last longer. Frees up your time for other things: Rug cleaning can be a time and energy intensive process. By hiring a qualified company, you can leave it in their hands. This allows you to spend your time doing things you enjoy or to spend time with your family. 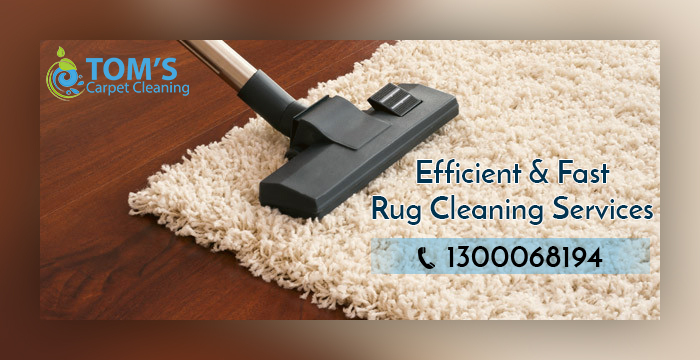 Toms Cleaning specializes in professional rug cleaning services including : Persian, Pakistani, Afghani, Chinese, Indian, Antique, Silk and hand made. Taking proper care to preserve your Oriental rugs is vital regardless of where they are made from. We believe in protecting your investment and stopping the damage before it starts. The team here are experienced enough to carry out cleaning on old and antique rugs ranging from silk to wool. We use the most gently Oriental rug cleaning shampoos and soaps to restore and revive any rug. If you have old Zeigler or even a Moroccan we have the right method to clean that rug. We can use hand cleaning methods such as dry vacuuming and shampoo / solvent cleaning in order not to weaken old and damaged fabrics. The dirt, grit, sand and soil trapped in the rug’s nap and foundation act as an abrasive. Toms best Rug Cleaning enhances the value and appearance of a rug and increases its longevity. Once the inspection is complete and the wash proceeds, the first step is dusting. A rugs can hold up to one pound of dirt per square foot before it “looks” dirty. Flooding a rug with pounds of fine grit and dirt in the foundation creates mud, so dusting is an important first step to the wash process. The dyes of the rug are tested for colourfastness. If the dyes are not colourfast, then the rug is bathed first in vinegar to set the dyes during the wash process. The rug is then given a cold water, mild shampoo bath, using soft brushes for mild agitation. The rug is soaked for a certain length of time, depending on how much surface soil and spotting needs to be gently worked out and rinsed from the rug’s fibres. The rug is thoroughly rinsed with water, and then the water is gently squeezed from the rug until the rug is in just a damp condition. Many rugs are laid out flat to dry. Hanging textiles up when wet can lead to too much strain on the foundation of the rugs. Air movers are used to help facilitate drying, without the use of high heat so there is no worry of shrinkage. Upon a first wash, it is typical for a rug to shrink slightly (less than an inch) – just as cotton and wool clothing does in even a cold water hand wash. And as with throwing wool or cotton in a high heat dryer, you know this shrinks natural fibres. That is why some rugs are laid out flat to dry. Fringe tassels are washed an additional time after the bath. The tassels are then dried. The rug is given a final grooming with a horsehair brush. Modern rugs are great! Any shape, Any Size Any Colour it doesn’t matter, they will inevitably end up with the odd spill and stain, plus maybe a pet stain or two. We can carry out full cleaning and restoration services for these rugs and, we know it may not be the most expensive rug in the world but we will still treat it to our full cleaning process. No rug is second place with Toms rug cleaning. Our rug cleaning services are available for all commercial and residential clients! We provide rug cleaning services tailored to your home or business’ specific needs. We use the best in rug cleaning equipment, and all of our machines are top of the line, commercial products. Our staff are fully trained and certified in the service of rug cleaning and the removal of stains from rugs. We’re a bunch of fully trained and insured rug cleaning professionals. We provide the highest quality rug cleaning services in, and we always go above and beyond to meet your needs and expectations. We know how clean and fluffy your rug would have been when you purchased it new and we want to do our best to restore your rugs back to or as close as possible to their original condition as we can. All our rug cleaning methods are safe for wool and silk rugs. We love rugs here at Toms Rug Cleaning so our technicians and rug cleaners will treat your rugs with the utmost care and respect that they deserve. Whether it is a Persian antique, Afghan or a regular modern rug from your local department store we know you love your rug and that is how we will treat it.